I am always looking for new ways to eat veggies and chickpeas. This flavor combo is awesome. I love dijon based dressings and it compliments the onions excellently. The chickpeas add extra bulk and protein. Preheat the oven to 400 degrees F. On a baking sheet, toss the cubed bread with 1 tablespoon of the oil and season to your liking. Bake for about 10 to 12 minutes or until bread pieces are browned. Set aside to cool. In a bowl, coat onion quarters, kale, and green onions in remaining tablespoon of oil. Grill over medium heat for approx 2 minutes on each side. Be sure to keep a close eye on the kale because it cooks quickly and may need to be removed before the 4 minutes are up. 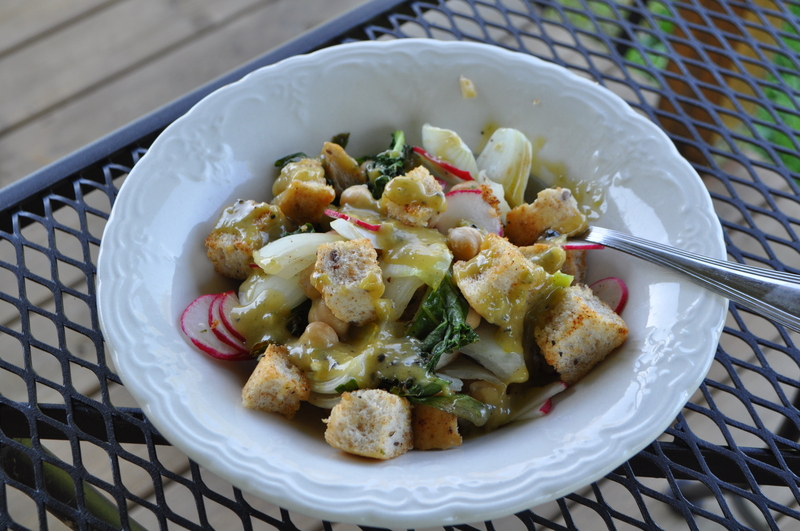 To make the dressing- combine all of the dressing ingredients in a blender or food processor. Blitz until smooth. In a large bowl, combine the chickpeas and toasted bread. Chop up the onion quarters, green onions, and kale into bite sized pieces. Add radishes and season with salt and pepper. Top with dressing. Serves 4. What a nice twist on a classic. Hooray! 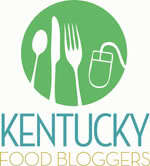 You have received the Versatile Blogger Award Nomination! The Invention of Living has been snooping through your blog and we love what we see! Please check out your nomination on our blog @ theinventionofliving.com along with the guidelines on what comes next! 🙂 Congratulations! Thank you so much for the nomination!!! I am glad you have enjoyed my blog. I can’t wait to check out yours!